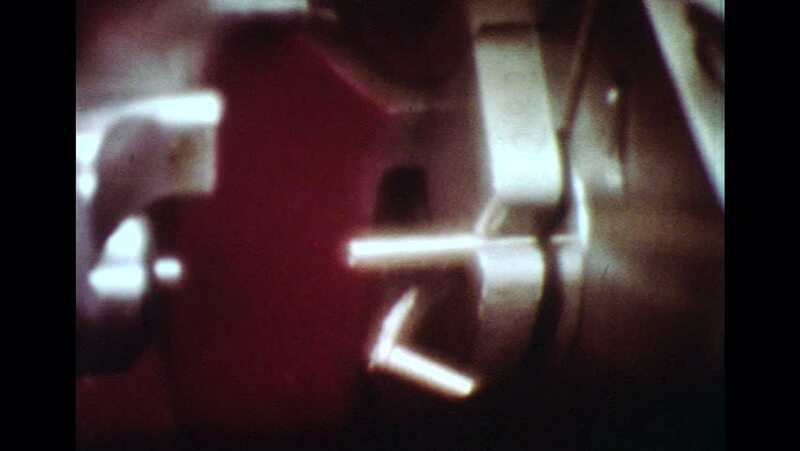 UNITED STATES 1960s: Slow motion close up of machine forming rivet inserts. Close up, hand holds rivet pin. Machine making rivet pins. hd00:52CIRCA 1940s - A film urging US workers to make the best use of their time for the war effort. hd02:18CIRCA 1970s - A reporter from the Detroit News covers a Peace March that interrupts a Memorial Day Parade in 1970.